NIA-Charlestown Nevis (June 22, 2011) — Nevisians go to the polls July 11, 2011 to elect a Nevis Island Administration, one week after Nomination Day on July 4th. Premier of Nevis Hon. 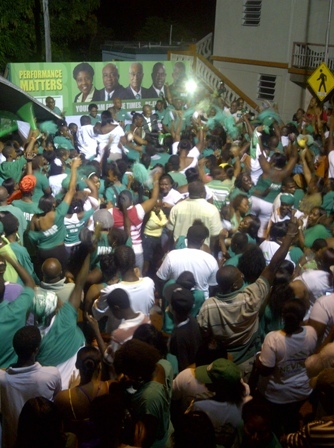 Joseph Parry made the announcement on Wednesday just after 10 pm following an impassioned address to the nation live from a rally in Brickiln Village. 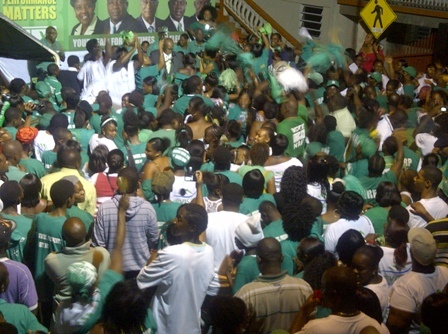 The Premier was accompanied by Cabinet colleagues and hundreds of his Nevis reformation Party supporters, who embraced the news with jubilation.